We planted our roots in Princeton, NJ more than 30 years ago. Today, we are the Princeton plumber and HVAC professional for residential and commercial properties in the area. We repair and maintain heating systems, repair pipes, fix faucets, install water heaters and new heating systems, service wells and sump pumps and much more. Got an emergency? 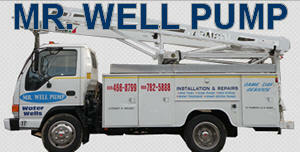 We’re the Princeton plumber that provides prompt, professional service, day or night. Call us any time. Our operators are available 24/7. Michael J, Messick Plumbing, Heating & Air began business more than three decades ago as a local Princeton plumbing company for homeowners and commercial property owners. Today, we are a premier plumbing and HVAC company servicing communities throughout Central New Jersey and Eastern Pennsylvania. But we haven’t forgotten where we came from, and we continue to provide top-quality services to customers throughout the Princeton area. There are advantages to hiring local. Efficiency is one of them. With a local contractor, there is no need to build in extra time for travel and scheduling. 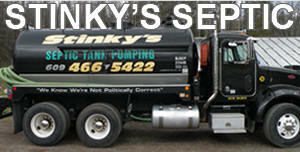 When your pipes burst or your heating or air conditioning system fails, you want service and you want it now. The Princeton plumbers at Messick Plumbing are prompt, professional and efficient. Our technicians are trained to make accurate assessments of your plumbing and HVAC problems and resolve them quickly. Our service trucks are our warehouses. We make sure each is well-stocked with brand-name appliances and parts necessary to diagnose and repair most plumbing, heating and air conditioning issues the same day. This alleviates the need for scheduling additional appointments and helps to keep your costs down. Small plumbing problems can quickly escalate into major problems if left unattended. And when you have a plumbing emergency, you want immediate attention before the problem gets out of hand, resulting in extensive damage to your property. Michael J. Messick Plumbing, Heating & Air offers 24/7 emergency plumbing services. What’s more, we have a live operator on call at all hours, day and night, to take your call. This way, you know your message is being delivered and your problems are getting the attention needed. The neighborhoods surrounding Princeton range from small and mid-sized towns to suburban and semi-rural communities. This means some of our customers are tied to city sewer and water systems while others have well water and septics. Different systems require different skills, equipment and knowledge. Our Princeton plumbers are trained to tackle your problems regardless of the type of system you have. Local contractors have a stake in the communities they serve. The customers they service are the same people they see every day. At Michael J. Messick Plumbing, Heating & Air we want our Princeton neighbors and all of our customers to be happy with the results of our work. That’s why make sure our services are top-quality and our prices are competitive; we strive to do the job right the first time, saving you both time and money. For maintenance and routine service, call Messick Plumbing – your Princeton plumber – at 609-466-7971 to schedule an appointment at your convenience. For emergencies, call us any time, day or night.